Run time: 100 minutes. 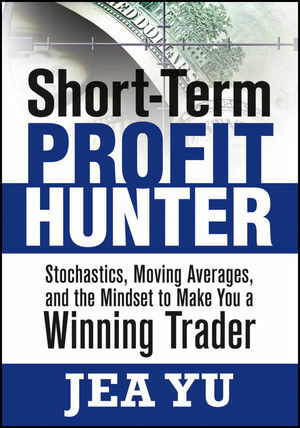 Traders are always on the hunt—for the right market environment, the strongest setup, the greatest odds. What if you had a way to narrow that search? It's as simple as using the best weapons in your search. With this new course, you will find out how to sharpen those tools and make them even more potent. Let Jea Yu, founder of UndergroundTrader.com and market veteran, show you how to create explosive profit-making opportunities by combining the strength of his top trading tools. Cutting through the market chaos, Jea has jam-packed this course with his favorite reversal candles, why, and exactly how to play them; techniques for pacing your trading day; and how to use the pre-market trading period to find your ''buried treasure'' trades before the ''tourists'' show up. ''Perfect storm'' setup of maximum momentum breakouts — and why you can throw away all other setups. So stop searching — with this new course, you will learn how to effectively combine these tools and techniques to maximize every market opportunity! Jea Yu is a co-founder of Undergroundtrader.com, the premiere virtual trading desk and trader education site that has served over 10,000 traders, fund managers and investors worldwide since 1998. He has been a featured speaker all over the country at various expos and seminars who enjoys a standing-room-only reception in the largest convention halls from New York to Las Vegas. He is also a featured speaker for the prestigious International Speakers Bureau. Mr. Yu has a BA in liberal arts from of the University of Maryland.